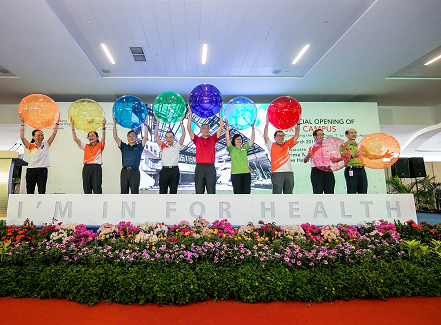 We were delighted to welcome DPM Teo Chee Hean, MP for Pasir-Ris Punggol GRC and Dr Amy Khor, Senior Minister of State for Health & Environment and Water Resources and grassroots leaders to SKH Campus on 20 January, Sunday morning. They were taken on a tour of the hospital grounds by our senior management, from Sengkang General Hospital and Sengkang Community Hospital where they got to know more about the multi-disciplinary care and view the key innovations in our facilities and systems to enhance patient care and experience. They also visited the wards and spent time interacting with our healthcare team and patients. DPM and SMS Khor stopped by the Outpatient Rehabilitation Centre which features simulated outdoor environments such as pedestrian crossing, traffic light, ramps and different terrains. Here, our patients and caregivers learn to rehabilitate safely. 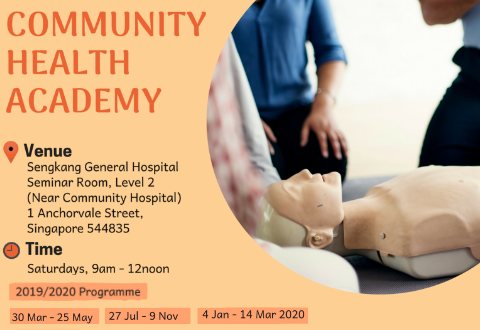 Our trained therapists also guide them to expand their mobility ranges and help regain their confidence in moving around and reintegrating back into the community after discharge from the hospital. 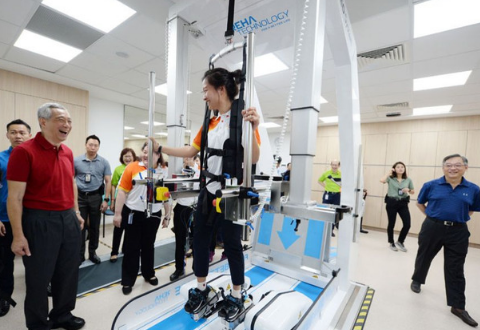 Patients undergoing rehabilitation can also look forward to gaining independence faster with the help of our G-EO System, a robot-assisted walking therapy that focuses on functional movement, and the Walker View, an high-tech treadmill that can simultaneously assess both the gait and running in real time, giving patients instant feedback. DPM and SMS Khor were encouraged by the adoption of new and smart technologies, which empowers different groups of healthcare workers to improve patient care and experience. They extended heartfelt appreciation to our hospital team for caring for residents in the community.